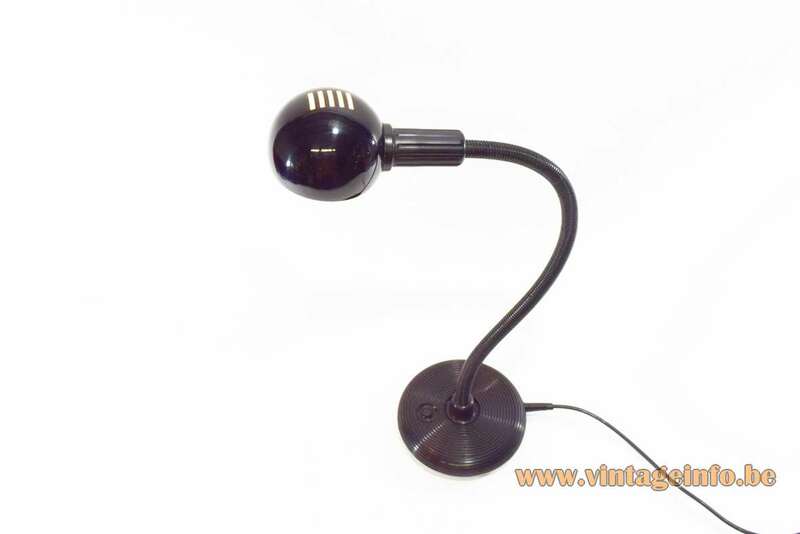 A Isao Hosoe Valenti Hebi table lamp was used as a prop in the French film Les Garçons et Guillaume, à Table! from 2013. (Me, Myself and Mum) An autobiographical comedy written, directed by and starring Guillaume Gallienne. You can view the complete movie with much more other lamps over here! 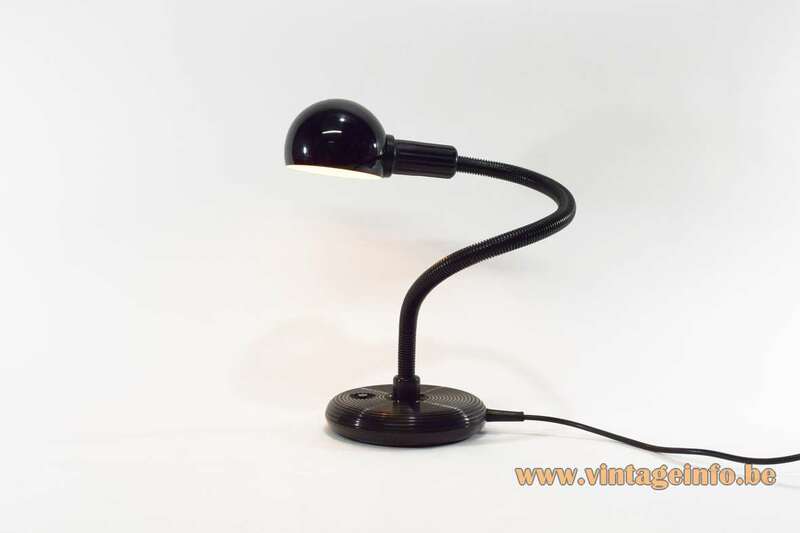 A Isao Hosoe Valenti Hebi table lamp was used as a prop in the French drama film Le Premier Jour du Reste de Ta Vie from 2008 (The First Day of the Rest of Your Life). Starring Jacques Gamblin, Zabou Breitman, Déborah François. Directed by Rémi Bezançon. Materials: Black PVC. 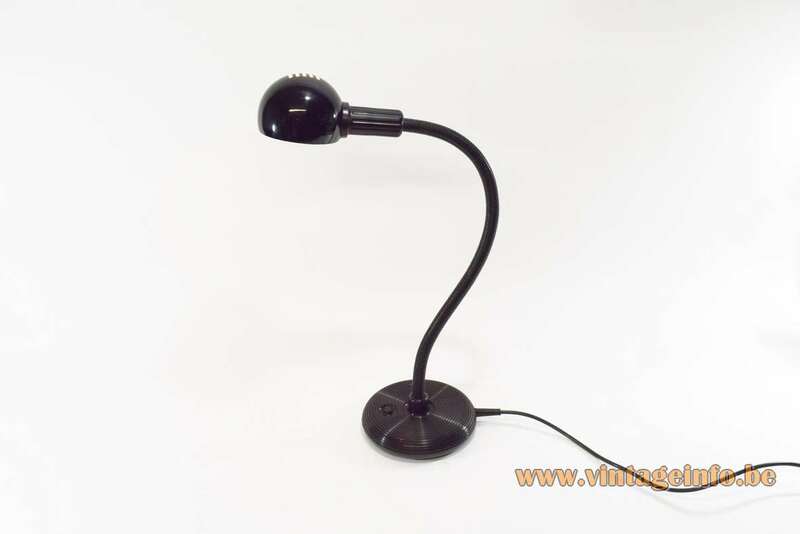 Black rubber base with a counterweight inside. Metal gooseneck. PVC bottom plate. Black PVC hose around the gooseneck. Black painted aluminium lampshade, white painted inside. White painted Bakelite socket. Designer: Isao Hosoe in the early 70s. 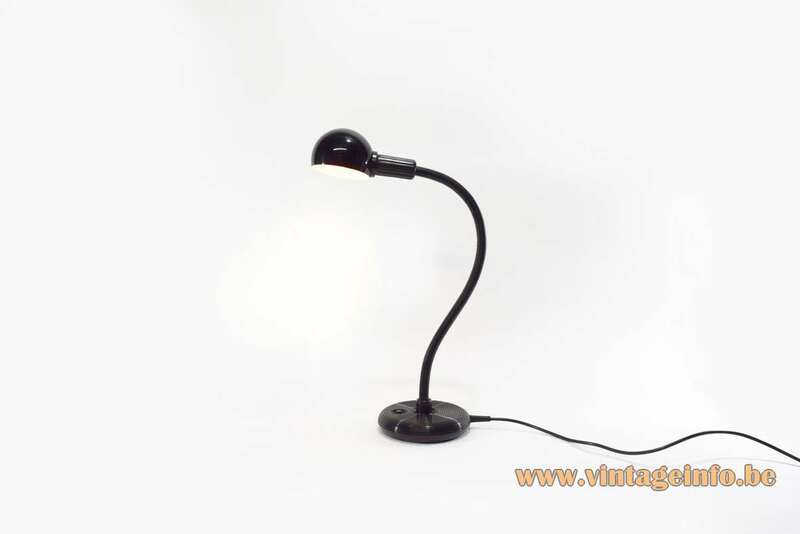 Other versions: The first Hebi lamp is the one with only a gooseneck and a lampshade. It was designed in 1969 and in production since 1970. You can find it over here. 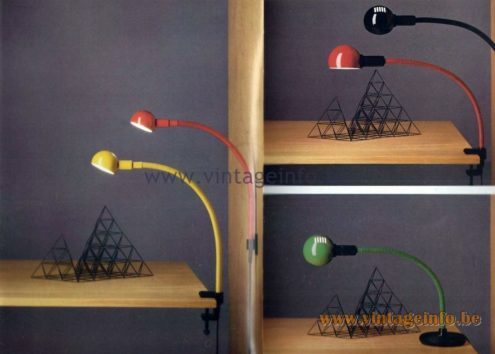 Also made as a clamp lamp and made in many colours. 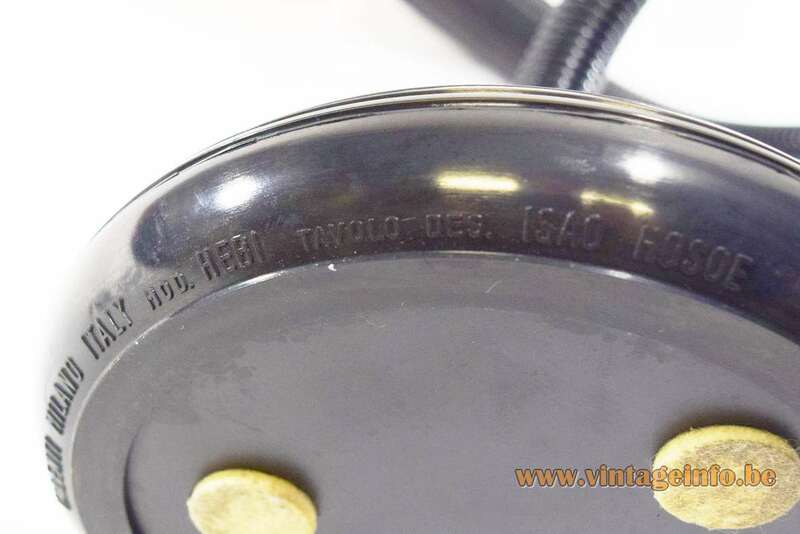 This one is model: Hebi Tavolo (Hebi Table Lamp), as written on the bottom of the base. The gooseneck was made in several sizes. Hebi is the Japanese word for snake. 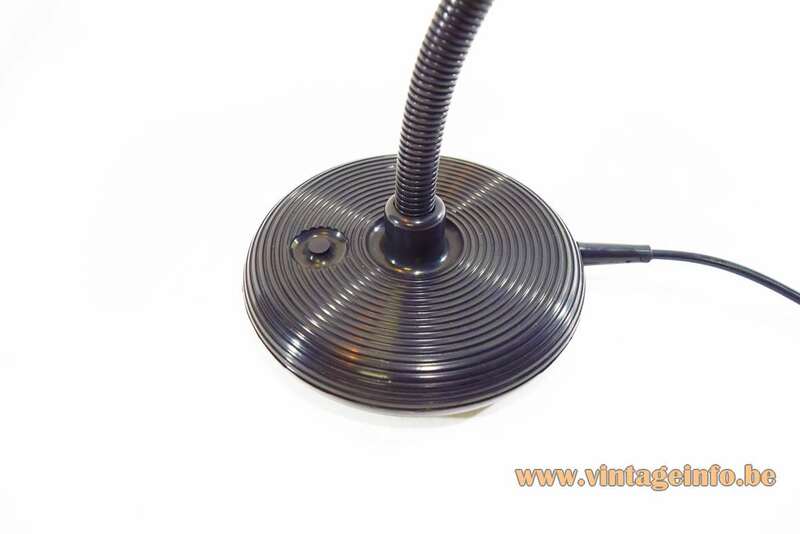 The flexible metal tube is covered in plastic and can be twisted in every direction and the lampshade can be rotated as well. SP light and Design still sells some of their design icons such as the Pistillo and Pistillino wall lamps and the Medusa floor lamp.